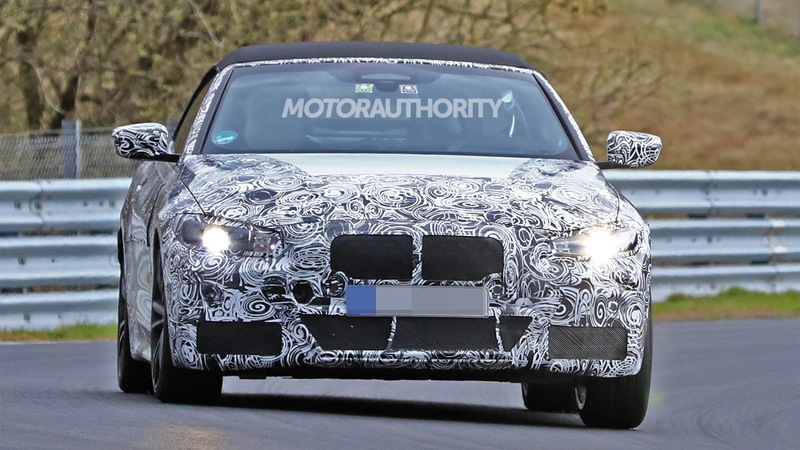 BMW introduced a redesigned 3-Series for 2019 and today we have new spy shots of a prototype for the related 4-Series, specifically the 4-Series Convertible. The redesigned 4-Series is expected to debut in late 2019 as a 2020 model, but in coupe form only initially. 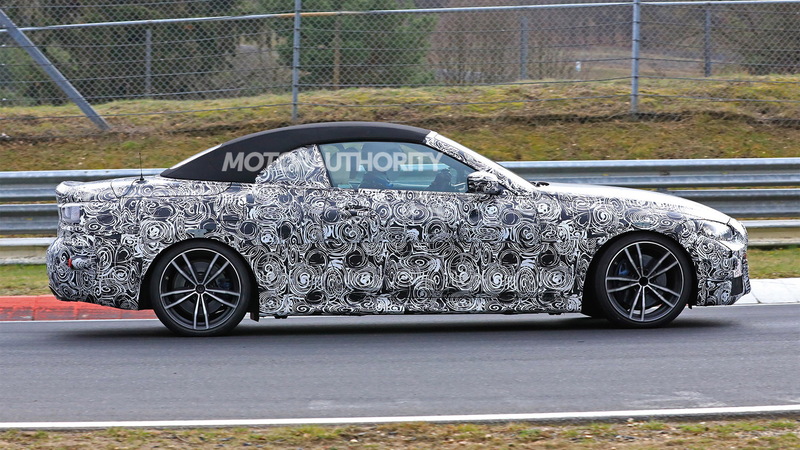 The convertible will trail the coupe by about six months to a year, meaning we should see it arrive as a 2021 model. 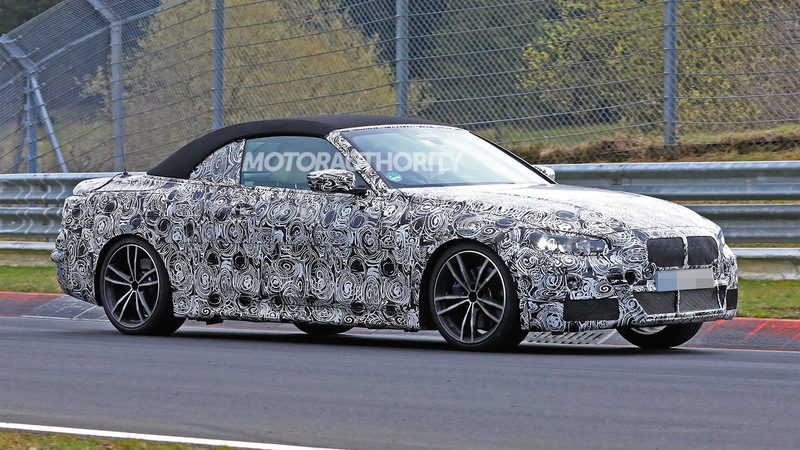 BMW is clearly going for an evolutionary look for its new 4-Series though one major change with the convertible will be a switch to a soft-top roof instead of the current model's retractable hardtop. 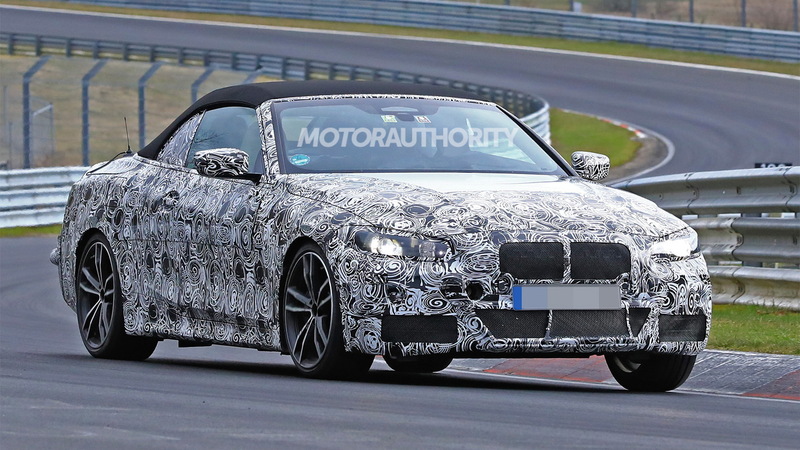 The simpler, sleeker design should not only improve the way the 4-Series Convertible looks but also make it lighter and more dynamic. Soft-top roofs also tend to take up less space in the trunk when folded. Further weight savings should result from the adoption of BMW's multi-material CLAR modular platform. The new platform, which debuted in the 2016 7-Series, also means the possibility of electrified powertrains. 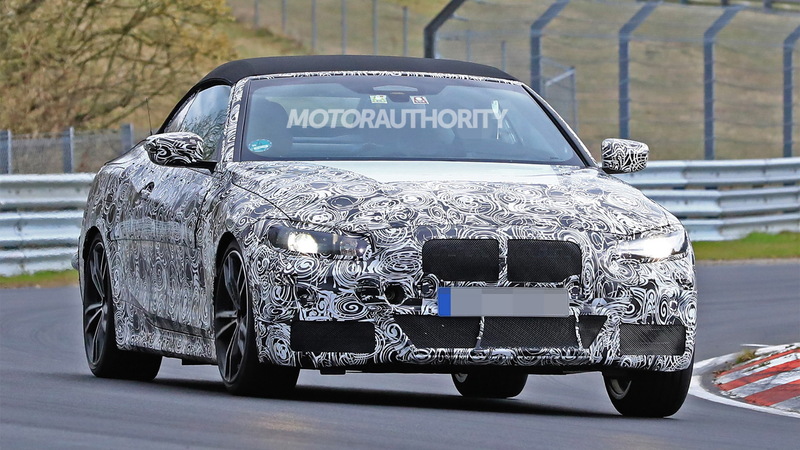 Performance fans can look forward to a new generation of the M4 also coming with the convertible body style. It will pack BMW M's new S58 engine, a 3.0-liter twin-turbocharged inline-6 that should deliver around 473 horsepower in the M4. The interior of the new 4-Series will be familiar to anyone who's been in a modern BMW. There will be a new digital instrument cluster however, which will be joined by a large infotainment screen. Natural-speak voice activation should also feature in the car. Beyond the coupe and convertible body styles, the redesigned 4-Series will also spawn a Gran Coupe liftback sedan. An electric i4 will also join the range in 2021.